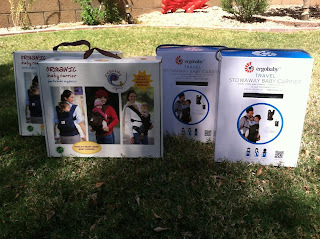 Babywearing International of Phoenix: Joining In June - Membership Drive, Carrier Raffle, and Trade-in Event! Joining In June - Membership Drive, Carrier Raffle, and Trade-in Event! Our parent organization, Babywearing International, is running a special this month to help the chapters grow their carrier libraries - 100% of membership dues remitted this month will be retained by us! This means that we have the opportunity to really reach for those hard to find and sought after carriers for our library. So join today by emailing us, or at any meeting this month, to help us fund more babywearing love. 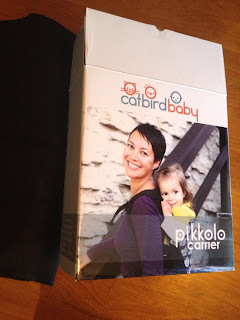 Purchasing a membership with BWIP, along with helping to support babywearing at the local level and beyond, also has great benefit to caregivers. Membership allows you to borrow a carrier from our lending library at any meeting for up to a month (30 days or so) at a time. Our library is present at all of our meetings, but can vary depending on what is checked out at any given time. Any carrier checked out is due at the next month's meeting in that area, or any other meeting prior to that. You are then able to check out a different carrier, and so on and so forth. You could potentially try out 12 or so different carriers for a month at a time! What a great way to 'try before you buy' and find out what you love! You also gain access to the forum on the organization's page. All that for only $2.50 a month, which all goes to help share the babywearing love in your community and beyond. We welcome all who would wish to join BWIP, whether to take advantage of these benefits or just to support babywearing advocacy and outreach. Why Join in June 2013? 100% of your membership purchased in June stays right here with our chapter, BWIP! This is an amazing opportunity to help our chapter build funds for purchasing new carriers for our library and for other outreach materials for our community. This special also applies to any current membership renewals or gift membership purchases. Even if you are not yet up for renewal, renewing now will directly benefit our group and will be added on to your current membership (i.e. if your membership is up in Oct 2013, renewing now in June will extend it until Oct 2014!). What are you waiting for? Join today by emailing us or signing up at any meeting this month! During the month of June, we will be raffling off 2 gently used carriers from our library, open only to our members. Every new membership or renewal will earn 5 entries into our drawing. If you are a current member in good standing you can earn 1 entry for each new member you refer who joins (only one referral per new membership). Additional entries can be purchased for $1 each or $10 for 13. There are two carriers in this drawing - a Boba carrier in Twilight and a Beco Butterfly II in Argyle Deer. Both carriers are in very, very good condition. Boba comes with its original box. Winners will be randomly selected on July 1. Winners will have 48 hrs to respond, or an alternate winner will be selected. Shipping is available for an additional fee if needed. We are running a special promotion during June as well - a carrier trade-in event! This promotion is a great way to help build our library up EVEN MORE, to accommodate our growth and needs. We are offering a 12 month membership with BWIP for those carriers accepted in trade, that includes all the amazing benefits of membership listed above (some restrictions apply see below). The membership becomes effective immediately upon carrier exchange. This special promotion runs for the entire month of June 2013. There are a few requirements and stipulations with this promotion. The carrier offered for trade-in must have a retail value of at least $80, be a manufacturer's carrier in current production (no DIYs or discontinued carriers), and be in good condition. We are looking for carriers that are a good fit for our library and acceptance of a carrier for this promotion and use of carriers received through this event, as well as straight donation of carriers, is at the sole discretion of BWIP leaders. 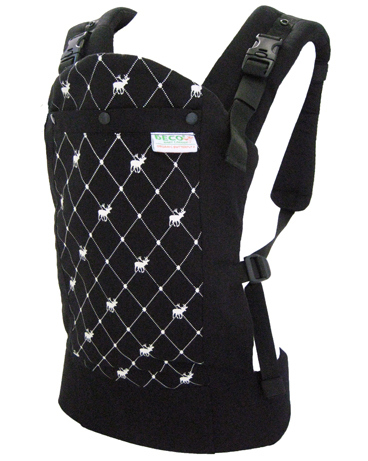 We are excluding front packs/narrow seat carriers and pouches at this time as they are not often requested and we currently have enough to meet our needs. Carriers may be dropped off at any meeting or you can email us to discuss it in further detail. Note: Carriers traded-in as part of this promotion are not eligible for a tax receipt as they are being exchanged for membership. Memberships obtained through this promotion are not eligible for free entries into the carrier raffle listed above, although you may purchase raffle entries as you desire. We love donations to our library, financial or of good condition carriers. We will accept donations at any time; and any straight donations (monetary or of carriers) may have a tax receipt issued.